Just for Comic Con 2018 Gentle Giant is kicking off a brand new scale of collector enamel pins! 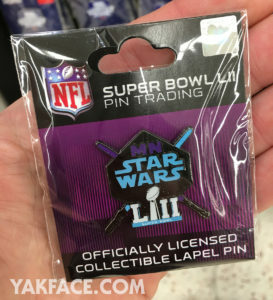 While shopping today at a local grocery chain (Cub Foods) I noticed an official Super Bowl LII pin with the Star Wars logo and lightsabers on it. This is the second lapel pin that has been found, the first was an R2-D2 pin posted via Reddit and was available at the Mall of America Super Bowl store. Could there be a reason for such a marketing partnership? A trailer for an upcoming film perhaps? We shall see. Our friends at JediDefender reported finding this back on Jan 7. 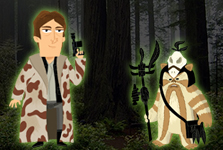 Here’s where the fun begins…it’s the return of the Star Wars Celebration Pin Trading Program! 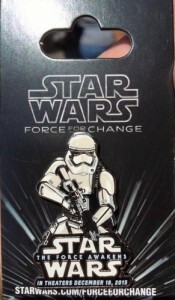 The Star Wars Celebration Europe pin set will feature pins based on the emojis from the official Star Wars app, with 40 unique Star Wars character pins spanning the entire Star Wars galaxy – including some surprise variants. 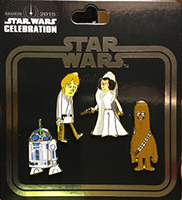 Head on over to the official Celebration site for more details and teasers of additional pins! Looks like the Disney Store will be the place to be for you and your family as we approve Star Wars Day (May 4th). @BobaSpeich passed on the above image detailing the events as well as the reveal of a FREE Boba Fett pin available to the first 50 guests* on May 1 and May 4. 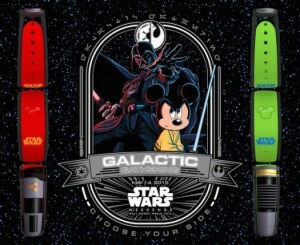 Our friends at VinylmationWorld have posted details for new Star Wars Weekends merchandise to attendees this May. Head on over for a look at some great Disney Parks merchandise including Vinylmation, new D-Tech figures, pins and more! 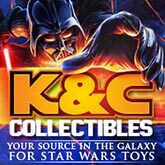 Rebelscum is reporting the arrival of the Star Wars Celebration Early Bird pin sets and shirts to those badge holders that ordered. The set includes R2-D2, Luke Skywalker, Princess Leia and Chewbacca. Head on over to Rebelscum for a closer look.